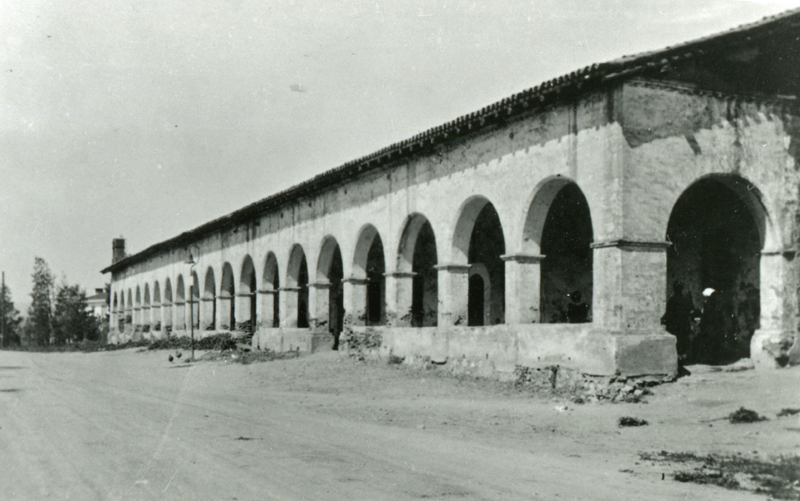 Mission San Fernando, sometime before it was restored in the 1940s. 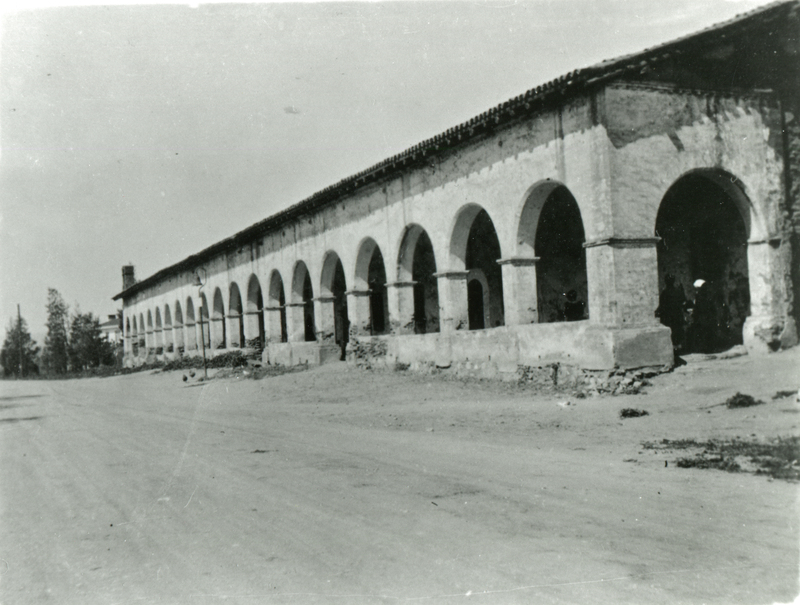 This was its "good side" at the time; the other walls were crumbled. AP0930: 19200 dpi jpeg from original image purchased 2013 by Dr. Alan Pollack.